Birth injury or trauma can occur from complications during either pregnancy or delivery. Fortunately, most of the 2.7% of births that result in a birth injury in the United States are minor and only bring about some bruising. But because a newborn’s nerves can easily be damaged and a newborn’s bones are vulnerable to fractures, some birth injuries may result in lifelong developmental disabilities. A birth injury is a physical trauma to a newborn that arises during labor or delivery. Birth injuries can be catastrophic when the injury damages a newborn’s brain or nerves. These injuries can cause your child to face serious cognitive, behavioral, and physical challenges. Unfortunately, birth injuries occur on a regular basis, impacting approximately 7 out of every 1,000 births across the country. These injuries can occur during pregnancy, childbirth, or immediately following delivery. While some of these birth injuries are from genetic factors, many of them are caused by preventable medical errors. These medical errors result in a wide variety of birth injuries that range in severity from minor, temporary injuries to serious damage requiring long-term care. If your child suffered a birth injury from the negligent care of a medical professional, you may be entitled to receive compensation through a medical malpractice lawsuit. Erb’s palsy is a birth injury impacting the baby’s brachial plexus nerves. It is often caused by a condition called shoulder dystocia, which occurs when a baby’s shoulder gets stuck in the birth canal. This can stretch and damage the nerves in the region, resulting in an inability to properly move an arm. Often, Erb’s palsy can be avoided if the doctor handling your child’s delivery orders a Caesarean section. Improper use of forceps or vacuum devices during delivery. Failure to perform a C-section, or a delayed C-section, in response to certain situations, such as a large baby that cannot be safely delivered vaginally. Proper techniques are not used to respond to common birth complications, such as the baby’s shoulder becoming stuck behind the mother’s pubic bone. Improper use of medications or wrong medications administered. Failure to provide proper care to the infant after delivery. Failure to recognize signs of problems during labor, such as signs of fetal distress. A birth injury may be considered medical malpractice when a doctor, nurse, anesthesiologist or other healthcare worker is careless or negligent in providing care. Who is liable for my child’s birth injury? If medical negligence caused your newborn’s injury, a member of your labor and delivery team may be liable. When a doctor, nurse, or other health professional deviates from standards of care accepted by the medical community, then the person’s conduct may be considered negligent, and he or she may be held responsible for your newborn’s birth injury. Cerebral palsy (CB) is one of the most devastating and common types of birth injuries. The experienced cerebral palsy lawyers at McWhirter, Bellinger & Associates, P.A., are experienced in fighting for families affected by this type of injury. We have offices in Columbia, Lexington, Camden, Sumter, Orangeburg, Aiken and Newberry, South Carolina. Cerebral palsy is a group of disorders that arise when a developing brain is damaged. A person with cerebral palsy cannot control his or her muscles, making it difficult to walk and maintain balance. The Centers for Disease Control estimate about 1 in 300 American children have cerebral palsy. If your child has CB, he or she may require frequent doctor visits, physical and speech therapists, special education and attentive home care. Our birth injury lawyers in South Carolina will fight for compensation to help you meet the cost of medical bills and expenses related to the ongoing treatment of your child’s injury. Choosing a cerebral palsy attorney can be overwhelming, so we are here to advocate for your family. When a baby sustains this type of injury during birth, it may be the result of medical malpractice. In some situations, CB is an unavoidable result of childbirth – even though the doctors and nurses acted responsibly and knowledgeable, an accident arose that resulted in CB. In other situations, carelessness or ineptitude leads to a preventable error that injures the baby and causes cerebral palsy. In the event of a medical error, medical malpractice may be attributed to your baby’s development of CB. The doctors, nurses and other personnel involved in your baby’s birth have a duty to be attentive and monitor your delivery and to respond appropriately when problems occur. When you bring a child into the world, it should be one of the greatest moments of your life. Birth injuries like Erb’s palsy can turn those joyous moments into fright and worry. In Columbia, South Carolina, at McWhirter, Bellinger & Associates, P.A., our Erb’s palsy lawyers understand the difficulties, confusion, and anger that follow a preventable injury to your infant. Your pediatrician is often the first to notice and diagnose Erb’s palsy in your infant, but you can watch for the warning signs and symptoms. If you had a difficult or prolonged labor, a breech birth, or an infant with a high birth weight, your child may have suffered nerve damage during birth. These higher-risk deliveries can lead to reckless decision-making and medical malpractice by your doctor. Erb’s palsy is a paralysis or weakness in the arm from the damage of the brachial plexus, a bundle of nerves in the neck and shoulders. Outer symptoms will manifest in the limited use of or paralysis of the arm. Your doctor will likely order an x-ray or other imaging of your child’s neck and shoulder area to ensure that no bones or joints are also injured. Once diagnosed, your pediatrician may recommend a course of physical therapy and a watch-and-see approach. Some instances of Erb’s palsy will correct with time. You will probably be taught daily motion exercises to do with your baby to help him or her recover. Some recoveries can take up to two years or longer. If your child’s condition is not improving in the first three to six months after diagnosis, your pediatrician may suggest surgery to stimulate healing of the damaged nerves. Surgery will usually not completely correct the condition. Nerve recovery can take years, and your child may continue to experience weakness in the hand, arm, or shoulder. What are my legal options if my child suffers from Erb’s palsy? If your infant suffered this debilitating birth injury during delivery from the negligence of the doctor or hospital staff, you may be able to seek compensation for your child’s injuries. At McWhirter, Bellinger & Associates, P.A., our Erb’s palsy lawyers in Columbia, South Carolina, and throughout the state are prepared to handle your case. 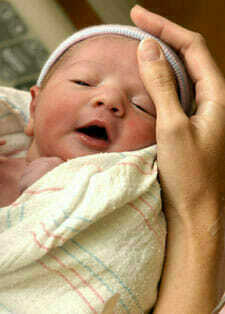 Erb’s palsy is paralysis or weakness of the arm often seen in newborns who have had a difficult delivery. Erb’s palsy is classified as a brachial plexus paralysis. The brachial plexus is a set of nerves that originate in the neck and shoulders and control the hand, wrist, elbow, and shoulder. When these nerves are damaged, the infant will suffer from Erb’s palsy. In infants, Erb’s Palsy is one type of birth injury that can result from a medical error during delivery. Breech births, shoulder dystocia, prolonged labor, and large birth weight can all contribute to damaging the brachial plexus during birth. Erb’s palsy is caused by stretching the nerves in the shoulder, which can happen if the doctor pulls the infant’s head to the side as the shoulders emerge. When pursuing your case, our Erb’s palsy lawyers will enlist experts to prove the cause of harm to your child. Erb’s palsy may partially or fully paralyze the baby’s affected arm. The infant may not be able to move her arm, wrist, or hand or may have no feeling in the arm or hand. Limpness in the arm or hand and lack of control in the same area can also indicate Erb’s palsy. Diagnosing Erb’s palsy early is important to your child’s recovery and will help our Erb’s palsy lawyers build a case for your financial recovery. Many times, yes. Erb’s palsy can occur naturally, but this personal injury is often the result of a medical error in the delivery room. If the doctor used forceps too aggressively during delivery or allowed a prolonged delivery, he may have committed medical malpractice. Our Erb’s palsy lawyers can help you seek compensation for the injury that your child suffered. Treatment for Erb’s palsy consists of time and therapy. If that will not be effective, surgical intervention may be necessary to repair the damaged nerves. Erb’s palsy can have lifelong effects. The child’s arm may not develop equally to the unaffected arm. Poor circulation, diminished muscle tissue, and diminished sensation may all affect the area. Arthritis may develop if the condition is not treated early. Miscalculating the position or size of the baby. The likelihood of injury increases when the fetus is too large (which can be the case if there is gestational diabetes) or when the birth canal is too small. A fetus that is not ideally positioned can result in a breech delivery (buttocks first). Shoulder dystocia (the infant’s shoulder becomes lodged in the mother’s pelvis) as a result of mishandling the infant. This can stretch the infant’s brachial plexus, which is a network of large nerves in the shoulder. It can potentially result in cerebral palsy, Erb’s palsy, or Klumpke palsy. Causing rupture of the uterus by using excessive force in the delivery. What should I do if my child appears to have suffered a birth injury? If you think your child has suffered a birth injury as a result of medical malpractice, you should contact our birth injury lawyers right away. A child’s birth injury can place emotional stress on your family and cause you to suffer greatly. You may be facing expensive medical bills for your newborn’s treatment. If the injury will cause lifelong debilitation, you will be facing many years of medical bills and other expenses. Our attorneys will fight aggressively to recover the compensation you deserve. If you suspect your child has suffered a birth injury resulting from medical malpractice in Camden, Sumter, Lexington, Newberry, Orangeburg, Columbia, Aiken, or the surrounding South Carolina areas, please contact the experienced medical malpractice attorneys in South Carolina at McWhirter, Bellinger & Associates, P.A., or call us at 888-353-5513.